"Nothing has in fact changed for our church." The Ukrainian Orthodox Church of the Moscow Patriarchate (UOC MP) has refused to recognize the newly-created Ukrainian Orthodox Church, the UOC MP Synod said on 17 December. "This congress is an alliance of dissenters and has nothing to do with the Ukrainian Orthodox Church [of the Moscow Patriarchate]. Nothing has in fact changed for our church because dissenters remained dissenters while the Ukrainian Orthodox Church [of the Moscow Patriarchate] remains the true church of Christ in Ukraine," it said in a statement. 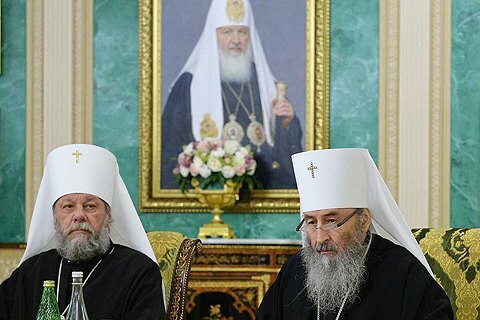 It repeated that the Ecumenical Patriarchate "had no moral or canonical rights to intervene in the internal affairs and spiritual life of the Ukrainian Orthodox Church [of the Moscow Patriarchate]". The Ukrainian Orthodox Church, which united the Ukrainian Orthodox Church of the Kyiv Patriarchate, the Ukrainian Autocephalous Orthodox Church and a part of the Ukrainian Orthodox Church of the Moscow Patriarchate, was created on 15 December. The congress of the three churches elected Bishop Yepifaniy Metropolitan of Kyiv and all Ukraine.